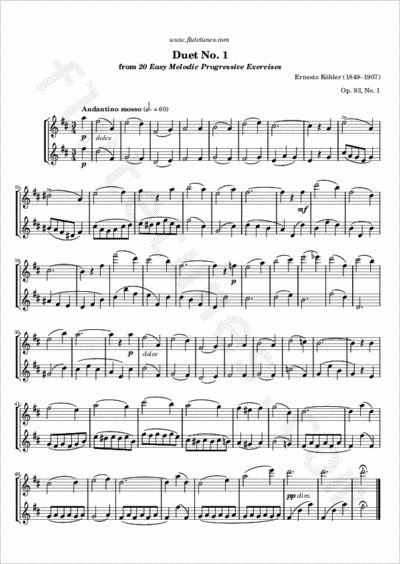 This is the first duet in Ernesto Köhler's Twenty Easy Melodic Progressive Studies, Op. 93, a book that includes both solo studies and duets. The second voice is slightly more difficult than the first one, as it is intended to be played by the teacher.